I was immediately attracted to Retro Bird Designs by their ever-so-cute vintage doll-printed stuffed toys. 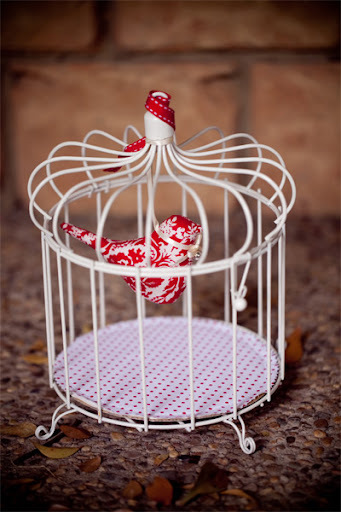 And when I enquired further, I found out from founder Melinda about the amazing bird cages that they have been designing in Brisbane, along with a whole range of other products including appliqued bird tees for boys and girls, dresses, dolls and jewellery. These gorgeous pieces would be great on top of a nursery dresser, or just propped around the house somewhere for a dash of whimsy and nostalgic-cool. You can find Retro Bird Designs on Etsy and at select markets around Australia (check the Etsy store profile for details). Whenever we're at the same markets I always see lots of people walking around with those gorgeous bird cages. They're just divine! um! gorgeous! 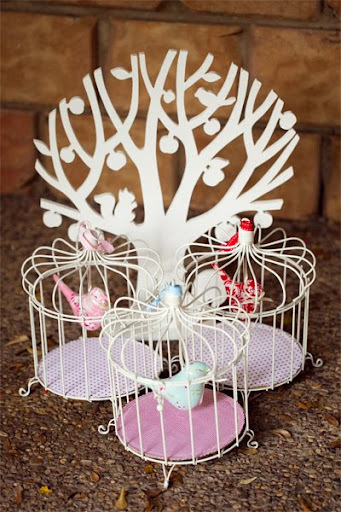 i want one of those bird cages! i don't know where i would put it... in my bedroom, perhaps. 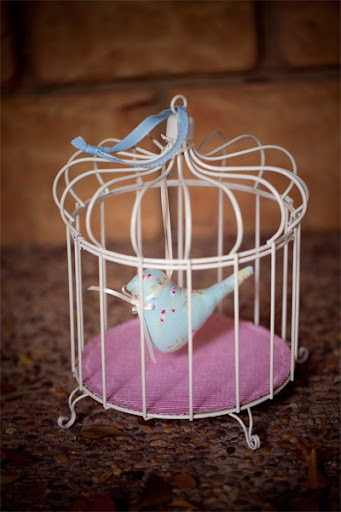 I bought the birdcages for my two nieces for Christmas. Just gorgeous. 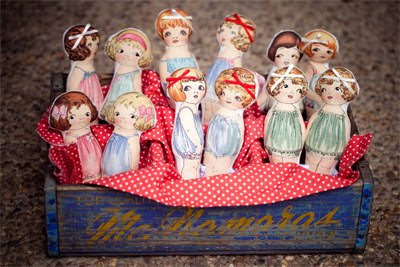 I also have a collection of Melinda's retro dolls which my girls love. Great find! They are beautiful. thank-you for sharing your blog's loveliness with all of the world! i'm enjoying all of the pretty pictures immensely!